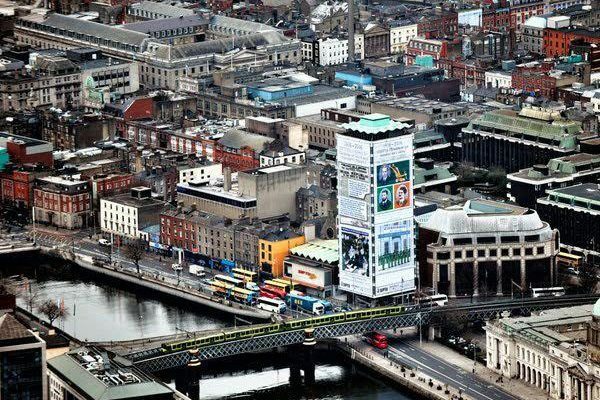 The impact created by mesh banners or building wraps is unsurpassed in terms of size, turnaround time, cost and the ability to fit to almost any location. 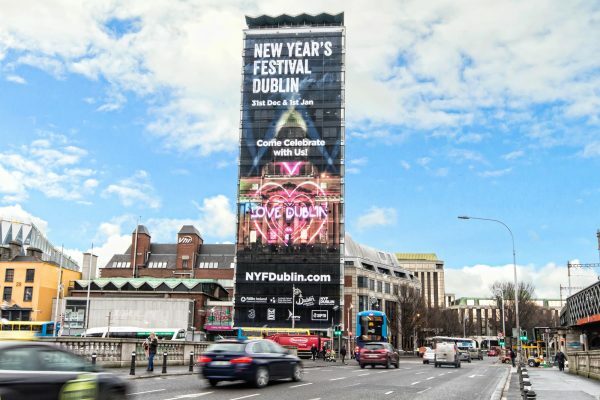 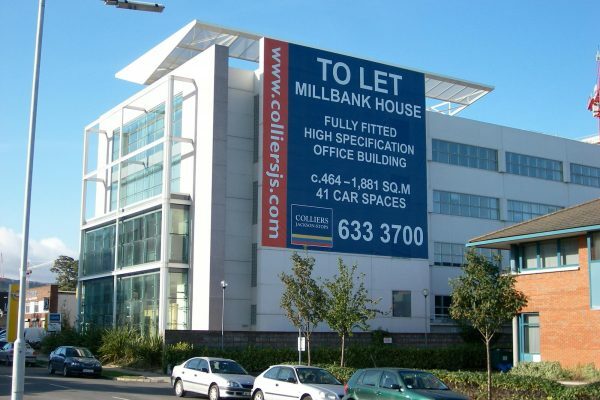 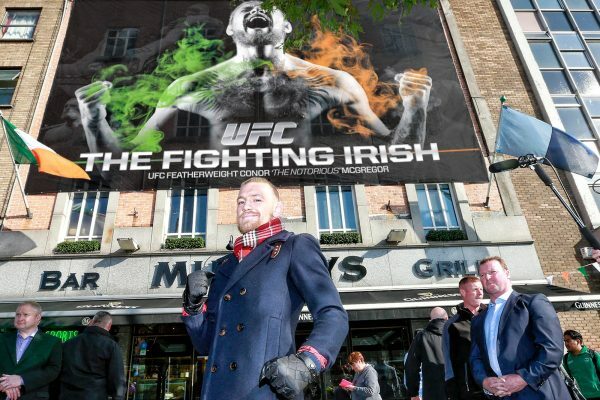 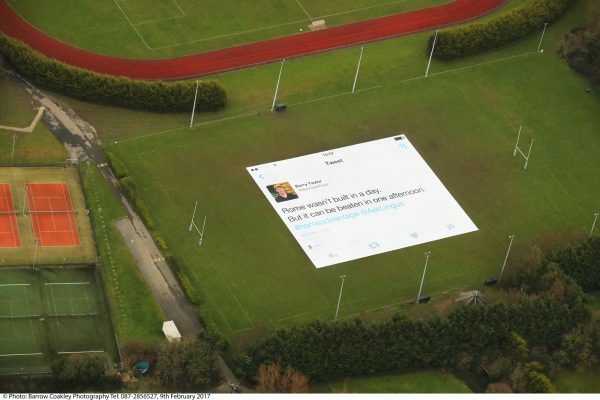 Big Picture Media are experts in giant advertising billboards. 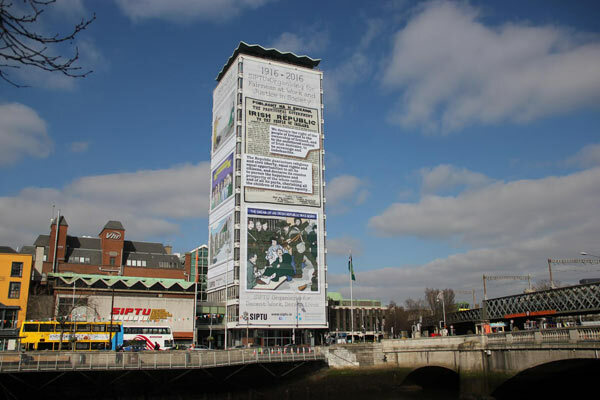 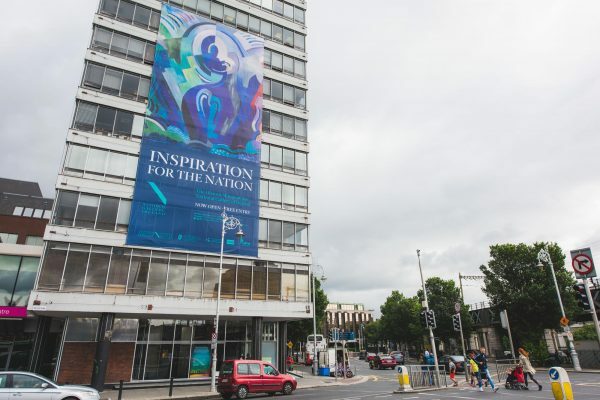 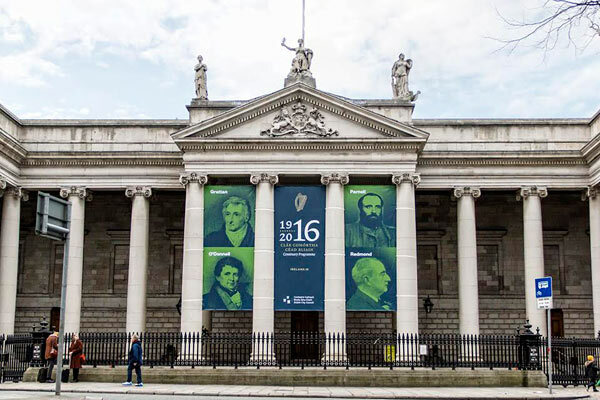 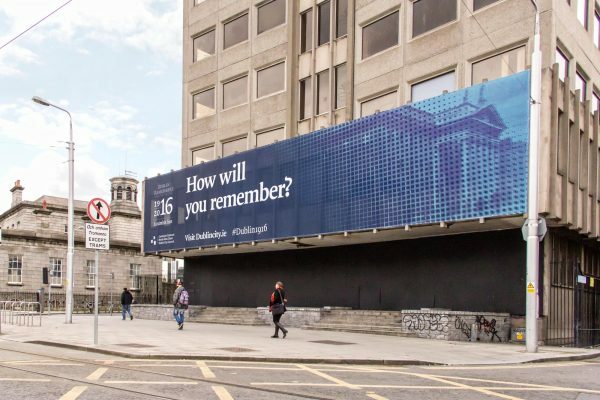 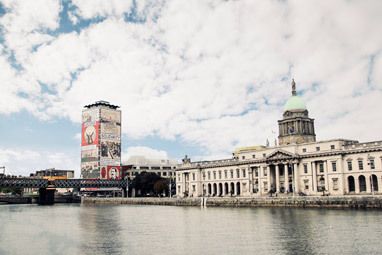 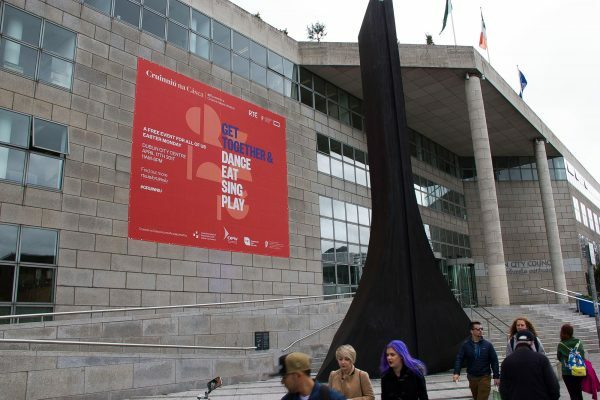 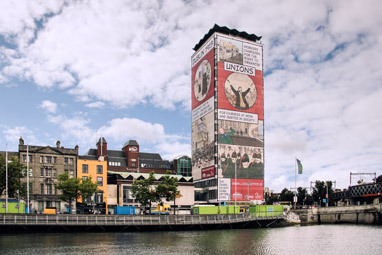 We produced the largest ever building wrap in Ireland to date, when we wrapped SIPTU’s Liberty Hall to commemorate the 1913 Lockout.